Fleet Trends – a quick overview – HubNut – celebrating the average! This evening, as I celebrate not buying a car for over three months, I take a quick look back at the various fleets over the years. Yes, there are six vehicles in that shot. I think there was still a Dyane in the garage too. 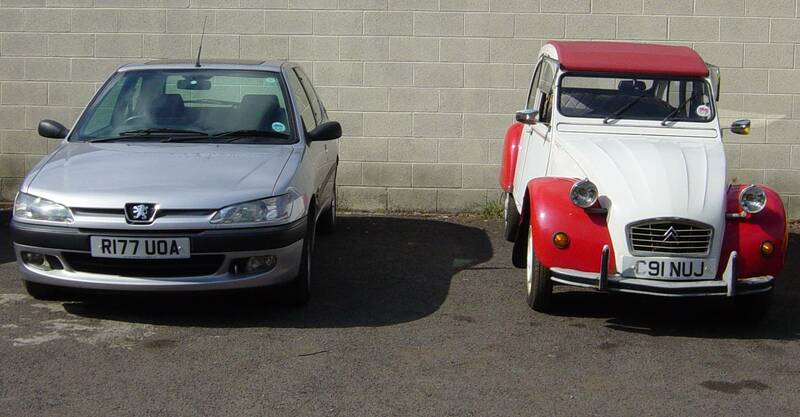 The Mini was my wife’s daily, the BX one that I owned twice and drove 3000-miles around the perimeter of France. The Bedford CF was a camper van that we never actually slept in (we attempted it once but it leaked horrendously) though we did once lend it to some friendly Norwegians. The Renault 21 Monaco was a fine machine, but ultimately lacked quirk factor. 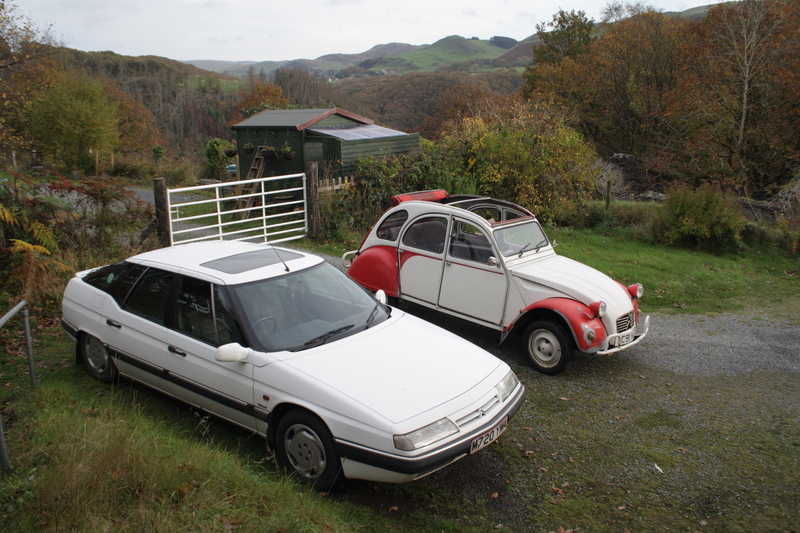 The grey 2CV didn’t manage to get restored on my watch but the red and white one of course, remains. Later that year, we moved to Wales. An Austin Westminster A90 joined the fleet in May, but was a sad victim of the move. 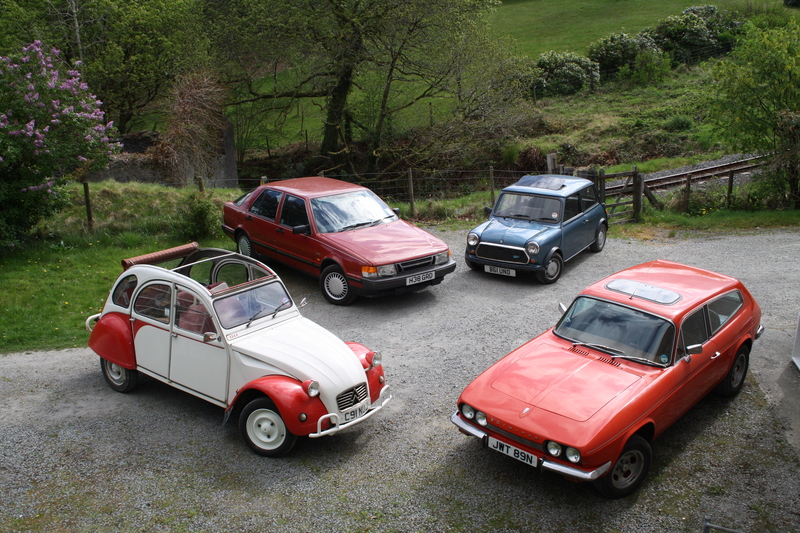 The Renault 21 turned into a CX estate and that, the BX, the 2CV and Mini all made the migration to Wales. We were going to live a frugal, hippy lifestyle, so obviously I bought a Land Rover 90 V8. By mid-2011 though, the fleet had settled to a very agreeable level. The two little economy machines remained, though I was finding that chasing rust was becoming a new hobby. Perhaps that’s why I opted to buy a Reliant Scimitar GTE, though I soon began to regret it with every mention of Princess Anne. The Saab 9000 was a thoroughly decent motor. Its 2.3-litre four-pot engine had 150bhp so it went well, but it also regularly achieved 34mpg. Not bad at all. It had headlamp wipers too. Bliss. Naturally, I got bored and it got sold. In 2012, I somehow got the stripey BX back and it joined another BX diesel – an exceedingly rare and shabby Mk1 estate. For some reason, the Mk1 Maverick I owned at the time isn’t in shot. By the end of the year, four of those five had gone, including the Mini. It wasn’t getting much use at all, so we sold it before it just became a pile of rust. 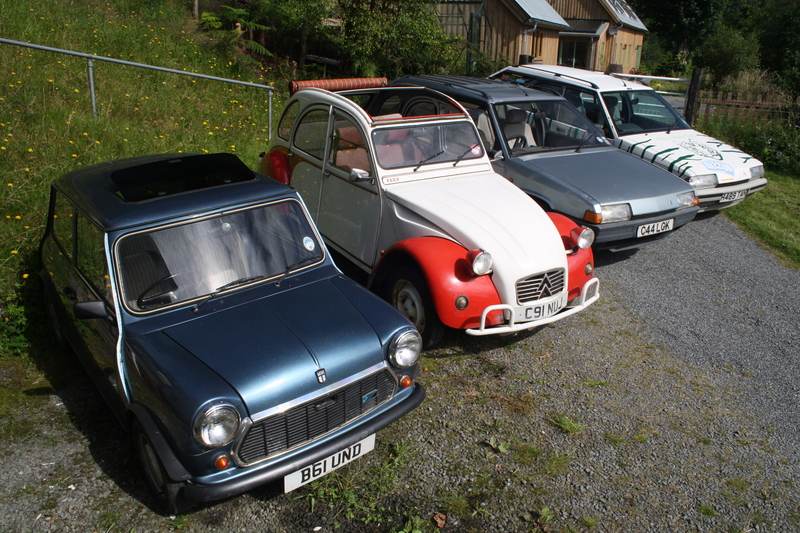 Maybe I should have sold the 2CV back then as well. 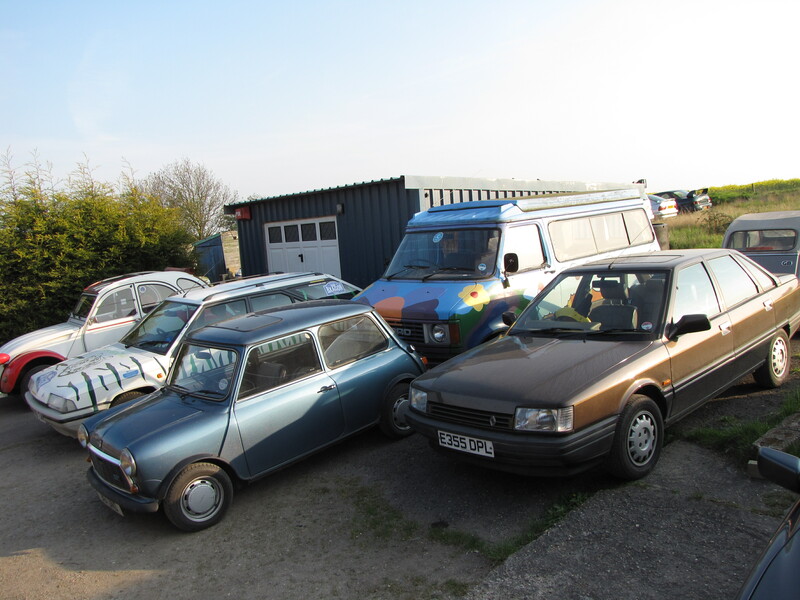 The end of the year saw just the 2CV and a BX turbo diesel on the fleet. 2013’s classics included a Mercedes-Benz 300E W124, which was thirsty but nice, but the real highlights were finally owning a Land Rover Discovery 200Tdi 3-door and the unexpected oddity of a Daihatsu Sirion. December 2013, and the fleet is very rusty. I’d been fascinated by the Discovery since it was launched. I even boldly planned to have one as my first car at one stage. Ah, the idealism of youth. I still love looking at photos of this one. It was a great colour and had those fantastic side graphics. Sadly, I didn’t really have the funds or inclination to keep pouring money into it. It needed it! These things rot quite spectacularly. I had to say farewell. The Sirion was a good consolation. It was huge fun. Sadly, it was hugely rotten too. 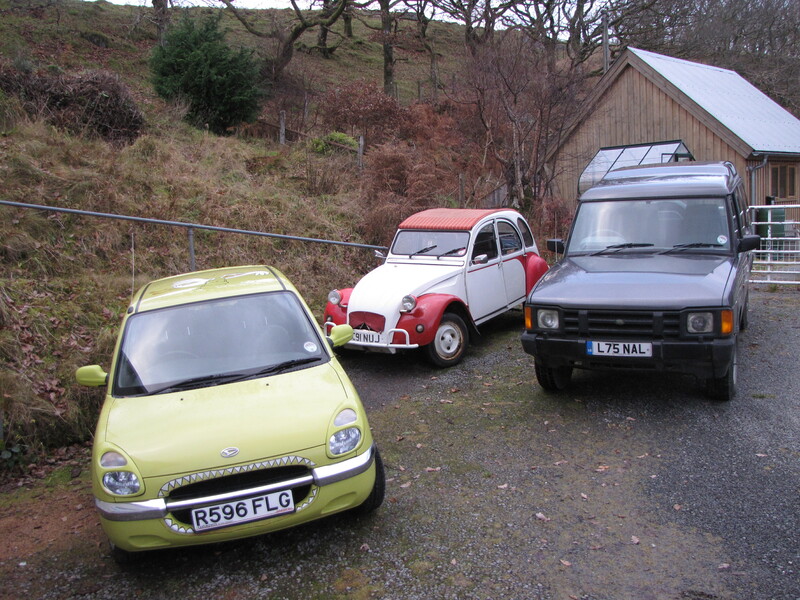 The fleet took a while to settle down after the departure of the Sirion, but in October 2013, settle d down it did. The fleet has remained at just this pair for three months! Record, surely. In many ways, this pair are perfect. Between them, they tick off an awful lot of boxes. One is supremely relaxing, quirky, practical and entertaining to drive, the other is supremely noisy, quirky, practical and entertaining to drive. I have no idea what 2015 will see on the fleet. There is one car I definitely want, and many others that are quite likely! Who knows what we can expect.